In a K-pop world filled with formulaic pop music, I have somehow come to appreciate MBLAQ. For one, they are not your everyday run of the mill idols. Though none of them possess any extraordinarily exceptional talent, their music is nonetheless praiseworthy. When I was first introduced to MBLAQ, they were portrayed as Rain’s brainchildren and BEAST’s ultimate rivals. It seems that everyone expected them to rival the success of Rain, but substantiated success for the band has been scarce. They have yet to grab a number one spot in music programs, and this significant area of lacking has obviously affected the group and has somewhat questioned the point of their existence. They have so much going on for them: they’ve been mentored by the most successful music figure (Rain) to come out of Korea. On top of that, they’re backed by 2NE1‘s Dara, who is member Thunder‘s older sister. But nevertheless, MBLAQ has failed to produce the success necessary to keep an idol group afloat. When the group first debuted, it was understandable that they weren’t winning number one on music shows week after week. After all, they were a new group, and faced stiff competition. But as time progressed and more singles were released, their lack of positive reception became more apparent. The group’s existence was called into question, and they were forced to reevaluate their music. When their latest Korean lead single “Mona Lisa” was released, fans were waiting for the group to finally receive their first win and be recognized for their uniqueness. But to the surprise of many, it never came. To me, MBLAQ is a breath of fresh air. They roam the K-pop sphere with a certain uniqueness: their image has a very metro-sexual masculinity to it — something I find somewhat odd and contradicting, but nonetheless befitting. Their music also has more of an R&B style, compared to other idol groups, but I never really realized this until they released their BLAQ Style album. I was expecting more generic idol fluff (which I have a love/hate relationship with), but instead, I got beautifully composed pieces of music. It was only then that I understood the grievance of A+’s. Above all, what I mostly appreciate about MBLAQ is that they’ve never changed who they are. Guyliner and all, they have continued to stay true to their Spanish twanged pop-R&B roots. Factoring in all of this, does the group deserve to win? Personally, I would like to see the group finally take home a trophy, but only if they win on their own merit and accord. It’s become increasingly apparent that many groups are not deserving of the wins they receive and only receive them because of mass popularity. but I hope it comes differently for MBLAQ. As much as A+’s cry foul, I don’t want to see the group win unless they produce a lead single that is worthy to be called a number one hit. Above all, I hope they win because they’ve managed to produce music that is both incomparable and enjoyable. J. 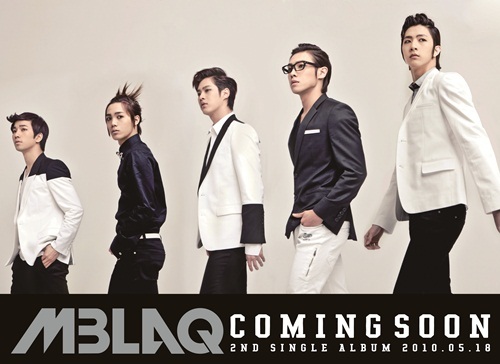 Tune Camp recently revealed that the track ‘Scribble’ from MBLAQ’s 4th Mini Album will be released on January 3rd, 2012. Now, with another shot at redemption, what MBLAQ plans to bring to the table is still up in the air. We will have to wait and see whether they will stick to their guns and release a metro-pop R&B fusion, or if they’ll change up their image and style to accommodate a more traditional and more widely- accepted dance pop fusion sound. Whatever it is, I hope that they don’t lose what makes them uniquely MBLAQ.